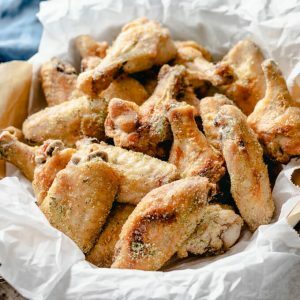 This recipe for baked garlic Parmesan chicken wings is extremely easy and only requires 3 ingredients. The wings are crispy and burst with flavor. And baked wings just aren’t my thing. Sure, it’s easy to cook up a whole sheet pan of chicken wings for a crowd, but I find them a just little soggy for my taste. 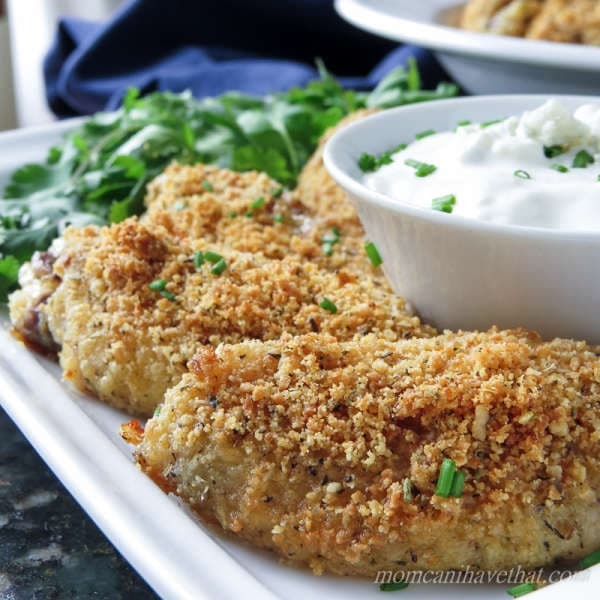 But, I’m over the moon with these garlic & herb Parmesan chicken wings! Not only are the easy to prepare, and crispy, but they are absolutely full of flavor! And they are baked! And crispy! That’s such an oxymoron for me. 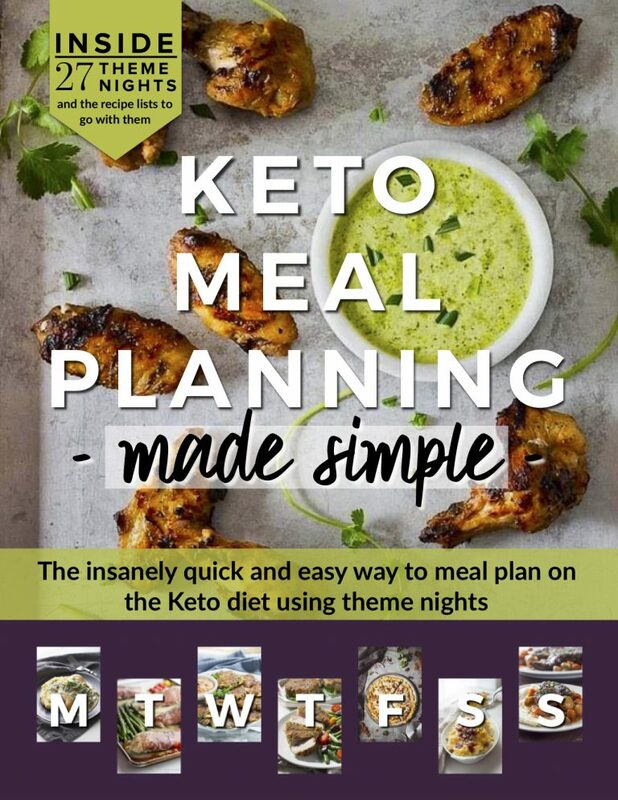 Some people call similar low carb chicken wing recipes “crack wings” or “heroine wings”, but no matter what you call them, they are amazing! 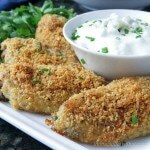 I’ve been wanting to make a version of Parmesan chicken wings f-o-r-e-v-e-r, and these do not disappoint! I have been relying heavily on the Garlic & Herb Seasoning Blend of late and since it’s been great in many other things I thought I would try it in this recipe, too. I’m almost embarrassed to tell you how easy this recipe is. I’m almost embarrassed to say that it’s just three little ‘ol ingredients that make this magic happen. I’m almost embarrassed to tell you that clean-up consists of a fork, a spoon, a plate and a piece of foil. Wait, what? Yep. That’s what I said. I’m almost embarrassed to say that they were gone in about 10 minutes flat — all 22 of ’em….. Almost. [NOTE] Any leftover wings refrigerate nicely. Nope. That’s all I got. These little guys speak for themselves. 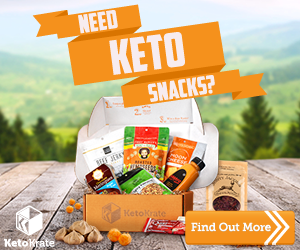 Do you think you can eat just one? Cut each chicken wing into three parts -- wing, drumette and tip. Discard all of the tips or pop into a bag and freeze to add to your pot for bone broth. Pat the wings dry with a paper towel. Put about 1/2 a cup of mayonnaise into a large plastic seal-able bag, add all of the chicken wing pieces and seal the top. Move the chicken wings, manipulating with your hands, to evenly coat each piece. Mix 2 tablespoons of the Garlic & Herb Seasoning Blend into the Parmesan cheese and put it onto a plate. With a fork, stab a wing and put it onto the seasoned Parmesan cheese and using your dry hand and fork, coat the chicken wing. Place the chicken wing on the lined sheet pan. Repeat for all of the pieces. 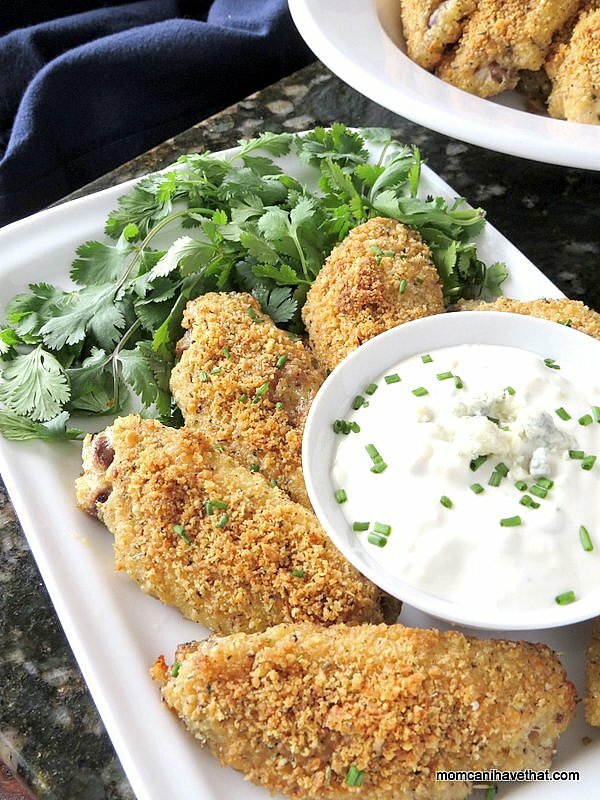 Bake the Garlic & Herb Parmesan Chicken Wings for 40-50 minutes, until golden brown and cooked completely through. Cheese sticks when it caramelizes. Remove the wings immediately from the pan so they don't stick so badly. So so good and sooo easy. Never cared much aywings before but my sweet hubby wanted them. So falafel I did. I am a convert! Thank you!! I loved these! They are EXTREMELY easy to make. I splurged and bought the already cut up winglets to make the cooking a bit easier on a work night. They were a nice change from the buffalo wings I usually make. One thing I may try next time I make them is flipping them halfway through cooking to try to get the coating to be crispy all over opposed to one side. But I give the recipe an A+ for a delicious and easy meal. So , so good. And wonderfully easy to make. I may put them on my Silpat next time to see if that helps them not stick. Hi, I am making these wings as we speak and they smell AMAZING! I am just curious what program or app you use to figure carbs, calories etc? 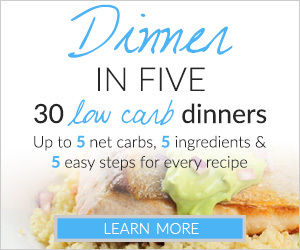 When I put the recipe in my app, it comes to over 1000 calories per serving and over 5 net carbs. 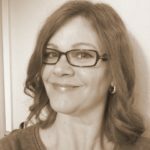 Just wondering if you would be willing to give some guidance. Maybe I’m doing something wrong. I did use a kraft like grated parmesan. Would that matter? Thanks for any input you might have. I love your site! Hi, just come across your recipe a d it looks great! Would it freeze though? Thanks! I really don’t know, Julia, I’ve never frozen this recipe before. If the recipe is too big, you could cut it in half. 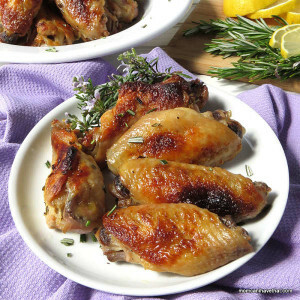 I am baking these tonight but using chicken breasts since neither of us like legs, wings or thighs. The picture looks amazing! I cant wait until my timer goes off! Testing new Captcha for reducing spam.